Some months ago, I was asked if QuickBooks®Online (QBO) could do batch invoicing. My knee-jerk thought was, “No, it can’t.” Or, can it??? I paused before answering. Surely, we can cobble together a MacGyver-esque workaround to this challenge, without resorting to duct tape and chewing gum, I said to myself. And, then, it came to me. “Yes, I think I can make it happen,” I told my colleague. I hadn’t worked out all the details at first, but I was pretty confident I could make it work. And, I did. Let’s recreate it now. I’m in the US Test Drive company, Craig’s Landscaping, and I’ve got some billable time and expenses already entered. I click on the Sales tab in the Left Navigation Bar, and, in the All Sales tab, I click on the dark blue Unbilled Activity block in the Money Bar. The grid that appears below the Money Bar represents only the customers and a summary of the unbilled activity for which we could invoice them. These include billable expenses, time, and delayed charges and credits. The total of these four columns is conveniently summed up in the Unbilled Amount column. And, at the bottom of the Unbilled Amount column, I see a total, so I can see how much I could add to my billings, right this minute, if I would just go ahead a press a few buttons with very little effort. I’m liking this! That means that the $475 total unbilled for Amy’s Bird Sanctuary appears first, the $375 for Video Games by Dan appears second and so forth. If I wanted, I could choose to click on Create invoice next to each separate customer individually. But, I want to “batch invoice,” so I’ll have none of that! Let’s get on with it. Then, I click on the drop-down next to Batch actions, and I choose Create invoices. True, they’re all dated today, they all have the same template, and I haven’t had the opportunity to review the invoices first or exclude any charges. But, I can make it the QBO default not to send invoices right away, so that I can review and edit those that need tweaking after batch entering them, and then I can find all of them here, click on Batch actions again and then click on Send transactions when I’m ready. This challenge was first brought to my attention for an accounting firm that was using time tracking and needed to do batch invoicing for those time activities only. My idea worked well for them, as long as they had control over the date of their invoices. All I did was expand on the idea for other types of billable activities. So, while technically QBO doesn’t “do batch invoicing,” we can think like MacGyver and have it pretend that it does. 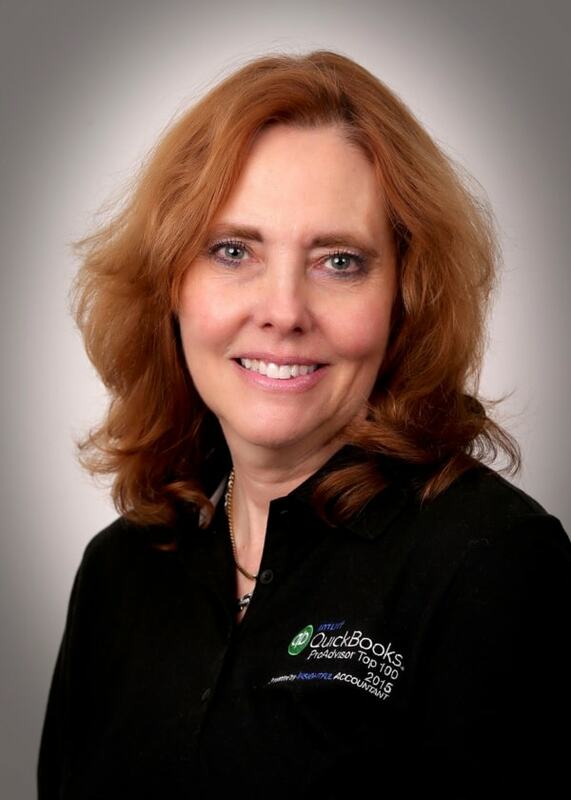 Esther Friedberg Karp is an internationally-renowned trainer, writer, business consultant and speaker who was named one of the Top 10 QuickBooks ProAdvisors in the world, with the title Top International ProAdvisor. Based in Toronto, Esther has the unique distinction of holding ProAdvisor certifications in the United States, Canada and the United Kingdom. She has authored materials and delivered educational and certification courses for Intuit in all those countries, as well as Australia, where she conducted live QuickBooks Online training. She has spoken at Scaling New Heights, the Sleeter Conference, QuickBooks Connect and other conferences, and has written countless articles for Intuit Global.